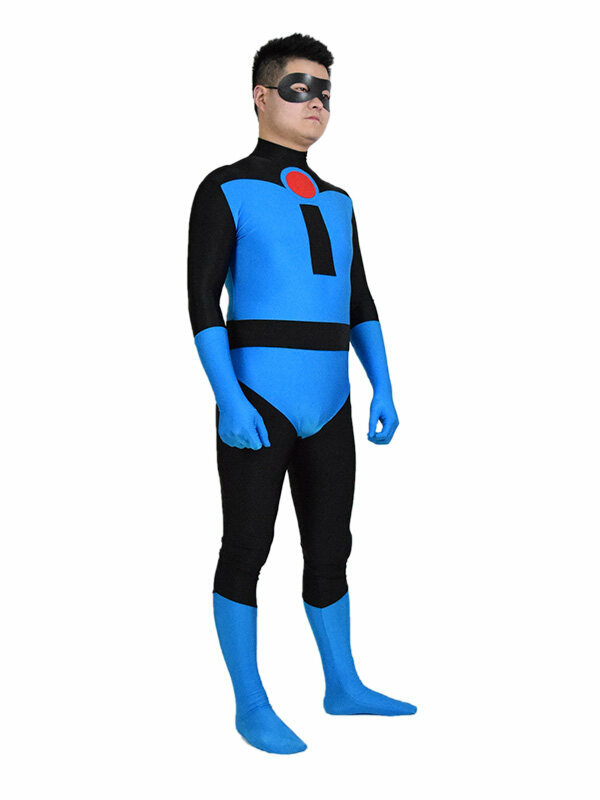 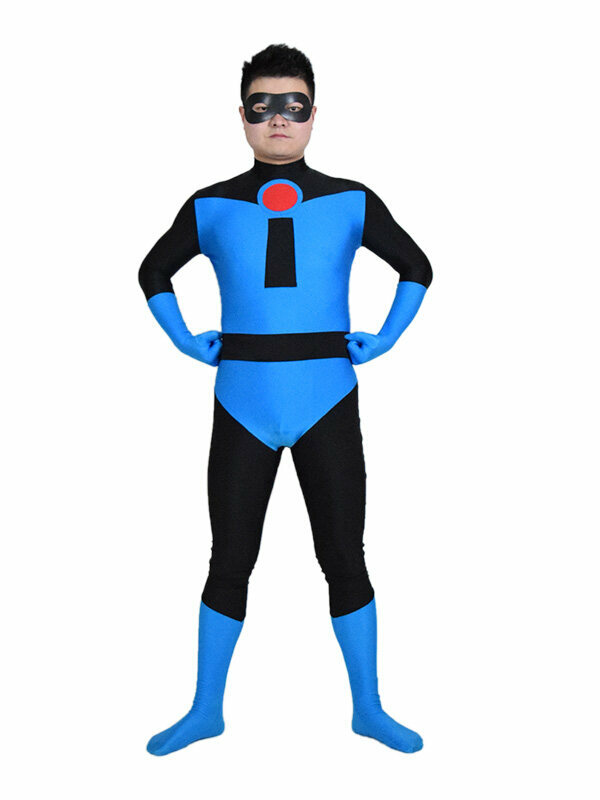 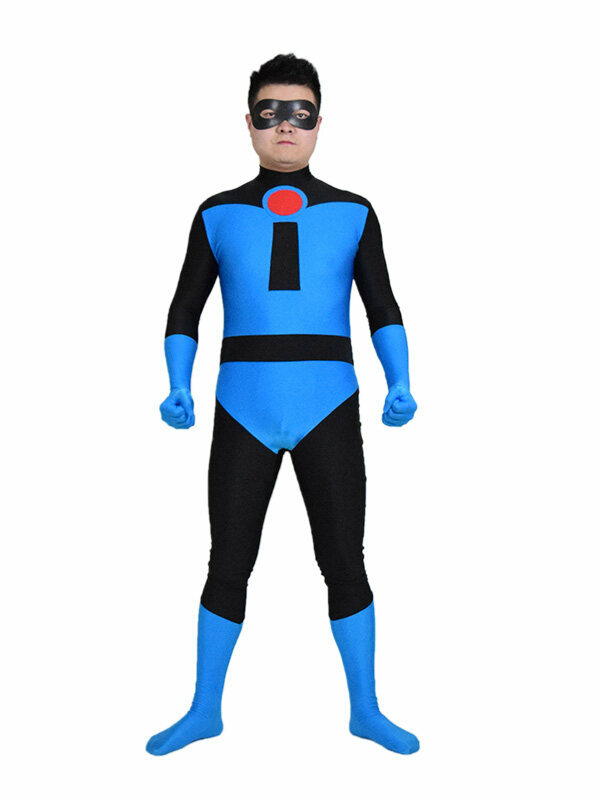 This is one custom suit which based on the design of The Incredibles Mr.Incredible, but change the symbol and colors as requirement. 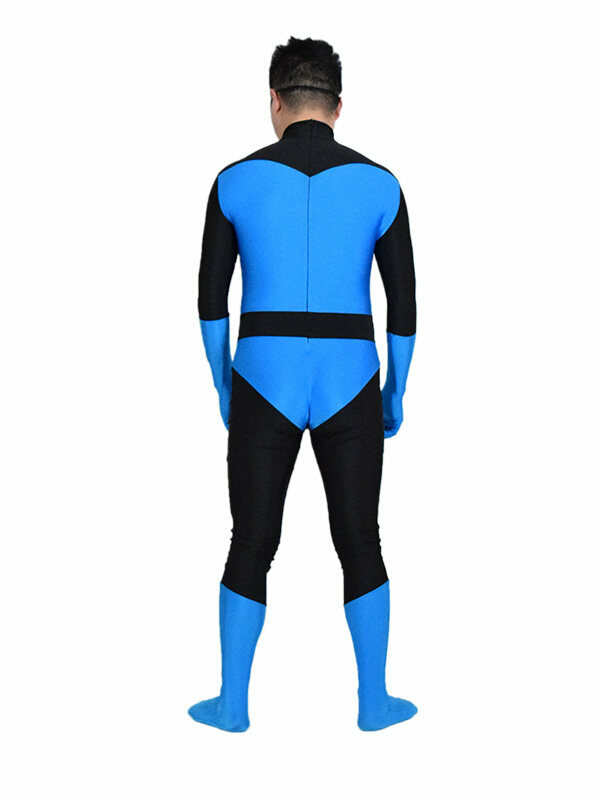 Color in blue and black. 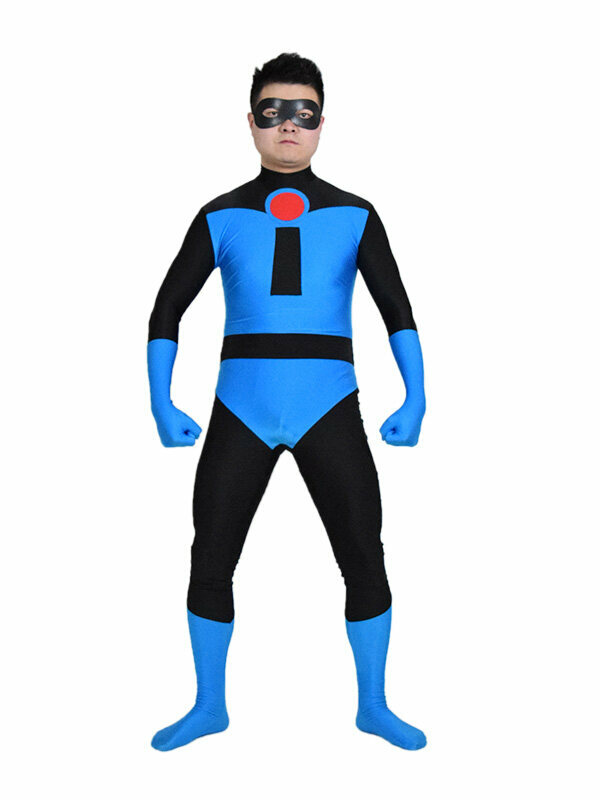 We accept custom made, you could contact us for custom service.